This ebook teaches you about the latest marketing methods, how to make them highly targeted, and how to gauge whether or not they're working. The buying cycle for business buyers and their decision-making teams has increased due in large part to more research being done. “80% [of respondents] said they spent more time researching purchases, and 73% said they use more sources to research and evaluate purchases,” according to the report. meet your business buyers where they are: online. give them the educational content they want, in the formats that resonate with them. track it all for the benefit of your own organization, and turn it into a positive return on investment. 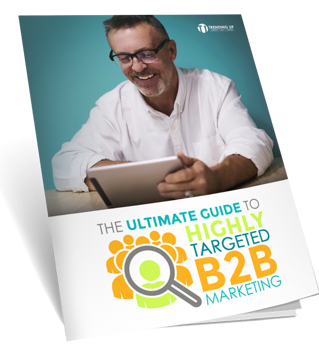 In short, we want your B2B marketing to be highly targeted and effective. Download the ebook now - fill out the form.